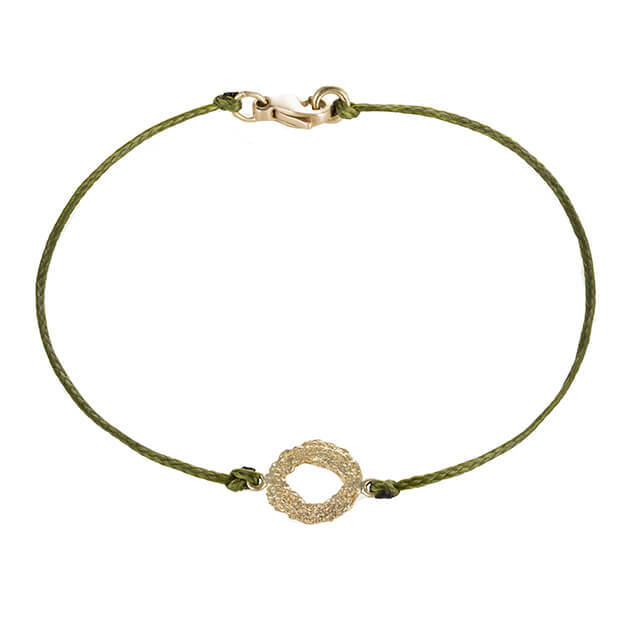 The Mati bracelet is inspired by Alexandra’s Greek roots and interest in ancient textiles. M​ati is the Greek word for e​vil­eye; a historic curse that is believed to be cast by a malevolent glare. An eye for an eye, Mati’s are talismans created to ward off and protect the wearer from the evil­eye. 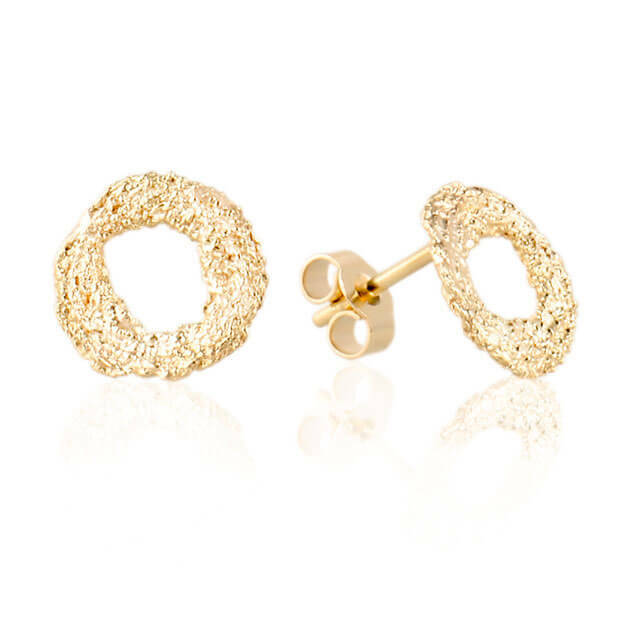 The intricate and delicate detail of the gold­ work is from hand­ sewing with cotton thread, which is then translated into solid 18kt yellow gold. The cord is durable and can be worn everyday and in water.